Adorable 1 level family home in the heart of Sweetwater Ranch. 3 bdrm/2 bath w. a private sparkling blue swimming pool with pebble tech finish in the backyard. 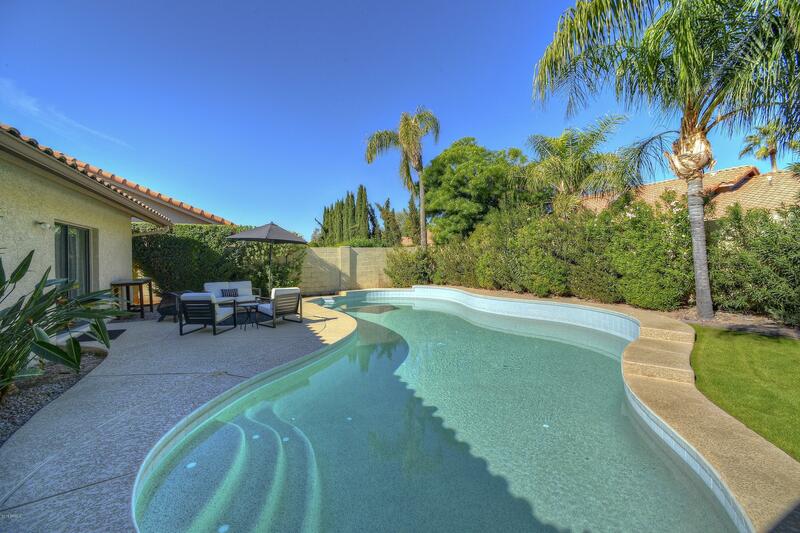 This quiet tucked away location is ideal for the AZ lifestyle--inside & outside! This terrific family home shows like a ''model home''---gorgeous hard wood flooring & vaulted ceilings make it a total winner! This immaculate & family friendly home features a split floor plan & an adorable kitchen w/ island. Master suite features a walk-in closet & lovely full master bathroom. 2 secondary bedrooms are spacious & share the hall bathroom. Enjoy your beautiful pebble tech finish pool in this super N/S exposure backyard w/ green lush play area for the kids!